Frosch Rewards & Incentives (“FRI”) offers comprehensive incentive management services and is exclusively dedicated to the design, implementation and management of motivation and performance improvement programs. For more than 10 years, we have assisted our clients with motivating, inspiring and improving the behavior and production of the people who most impact their business - employees, customers and suppliers. FRI is a division of FROSCH, a premier source of integrated performance improvement, incentive management, meetings and group travel, corporate travel management, deluxe leisure travel and marine and offshore travel. Founded in 1972, FROSCH is privately owned and co-headquartered in Houston, Texas and New York City. 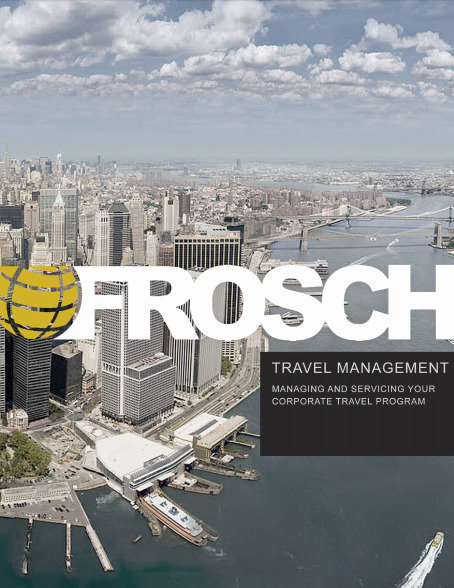 With 1,100 employees in 42 countries, FROSCH is recognized not only for its leadership in the travel industry, but also for its successful and innovative rewards and incentives solutions. For more information, please visit www.frosch.com. FRI is a member of the Incentive Marketing Association the premier educator and authority in the incentive marketplace. Contact Us today to discover the power of rewards.